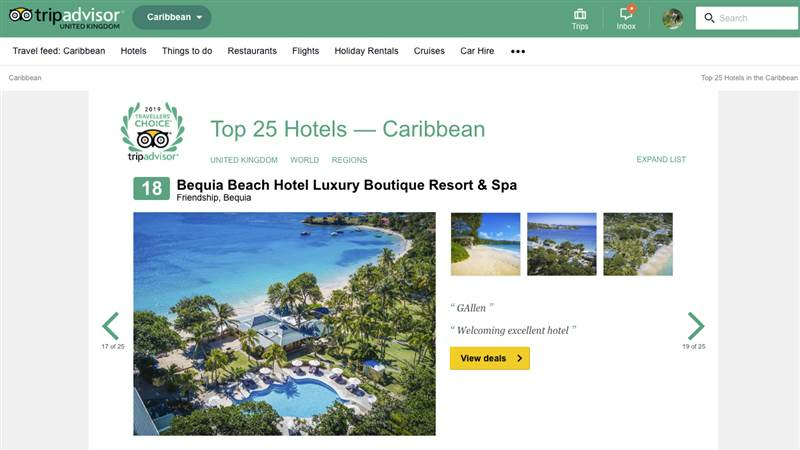 Bequia Beach Hotel has been recognised in Tripadvisor's prestigious '2019 Travellers' Choice awards' - ranked amongst the Top 25 Hotels in the Caribbean! "The award is our highest recognition and is presented annually to the top 1% of businesses across select categories." From the staff, management & owners we can't thank you enough for your support & custom of Bequia Beach Hotel & look forward to welcoming you to beautiful Bequia soon!